Both parties think it will give a boost to their economies. The deal is one of the biggest ever. IRELAND’S AGRICULTURE MINISTER has said that a trade deal between the EU and Japan offers a “huge opportunity” for Irish beef farmers. Michael Creed says that 43,500 tonnes of Irish beef going to Japan will see tariffs dropping from 38.5% to 27.5% in the first year and then to 9% over a fifteen years. The deal will see Tokyo scrapping barriers to EU farming products and in return the EU will further open its market to the world-leading Japanese auto industry. The breakthrough capped four years of talks and came on the eve of a G20 meeting in Germany tomorrow. Despite top EU politicians welcoming the deal, there is opposition to so-called investment courts which opponents argue are undemocratic and will be a boon for multinationals. The courts are designed to resolve trade disputes. The EU and Japanese economies combined account for more than a quarter of global output, making the deal one of the biggest trade pacts ever attempted. With the deal, the EU is seeking access to one of the world’s richest markets while Japan hopes to jump-start an economy that has struggled to find solid growth for more than decade. “The concessions achieved in relation to beef are particularly significant, and represent a huge opportunity which I am determined will be utilised to the maximum possible extent by the Irish beef sector,” Creed said this morning. But the outcome is also extremely positive in relation to pigmeat, where Japan will significantly lower the tariffs applied through its import scheme over the period of the agreement, and for cheese and dairy products. The deal is also being seen as a rebuke to US President Donald Trump who has been a proponent of trade protectionism and an opponent of globalisation. While agreements have been signed, some work remains to be done before it is competed. It is being described as a “political agreement” and some of the accord’s toughest aspects have been left aside and could still prove difficult. Sinn Féin MEP Matt Carthy argues that full details of the proposed EU investment courts must be debated in the Dáil. “The commission seems intent on establishing this multilateral court without any democratic mandate,” he said. There has yet to be a Dáil debate on this provision despite the dangerous and serious implications such a court will have for Irish democratic and judicial structures. Greenpeace is also opposed to the deal, describing it as “corporate protectionism”. Last year, the EU’s giant CETA trade deal with Canada nearly sank on such concerns when the small Belgian region of Wallonia threatened to veto it, before eventually relenting. Email “Cars for beef: Japan and the EU have signed a 'huge' trade deal but not everyone's happy”. 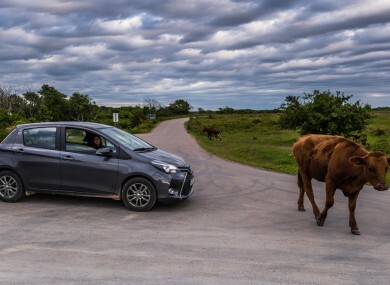 Feedback on “Cars for beef: Japan and the EU have signed a 'huge' trade deal but not everyone's happy”.